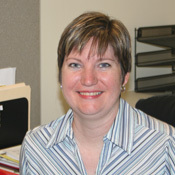 Monica Rears received her bachelor’s degree in Economics with a concentration in Accounting from Rutgers University–New Brunswick. She handles grant budgets and reconciliations as well as the Walter Rand Institute’s events and website. She comes from a diverse accounting background where she handled Payroll, Accounts Receivable, Accounts Payable, and General Ledger operations. Page last updated by Senator Walter Rand Institute for Public Affairs at 3:21 pm October 5, 2018 . This page was printed from http://rand.camden.rutgers.edu/monica-rears/ at 8:29 PM Saturday, April 20, 2019.